The Vought OS2U Kingfisher was the standard catapult-launched observation aircraft for the US Navy during the Second World War. Over 1500 were built and the Kingfisher operated off of cruisers and battleships throughout the war. The Kingfisher also saw limited service in foreign nations, with both the British Royal Navy and the Soviet Navy flying the type. 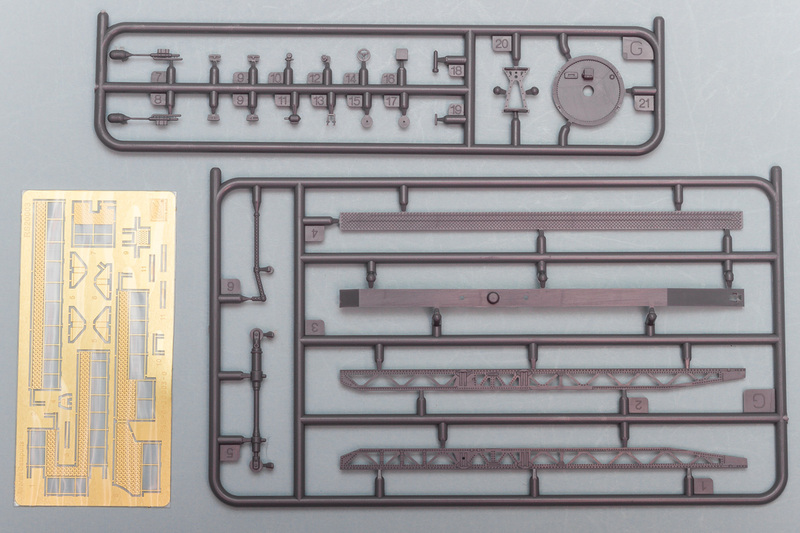 Undoubtedly aimed at the recent spate of 1/200 ship kits, this small set from Riich Models caters to those who might want to have a catapult or two displayed alongside a finished USS Arizona or equivalent. The small box comes with two complete catapults and two Vought OS2U Kingfishers. The parts overall are crisply molded, with the Kingfishers molded in clear to aid in painting. Starting with the latter, the construction of the Kingfisher is very simple. The upper fuselage is separate from the lower fuselage/wing piece, so the simple fact of gluing those two parts together yields a nearly complete Kingfisher. Extra details to add to the model include a two-piece float, a separate engine cowling, and separate outrigger floats. 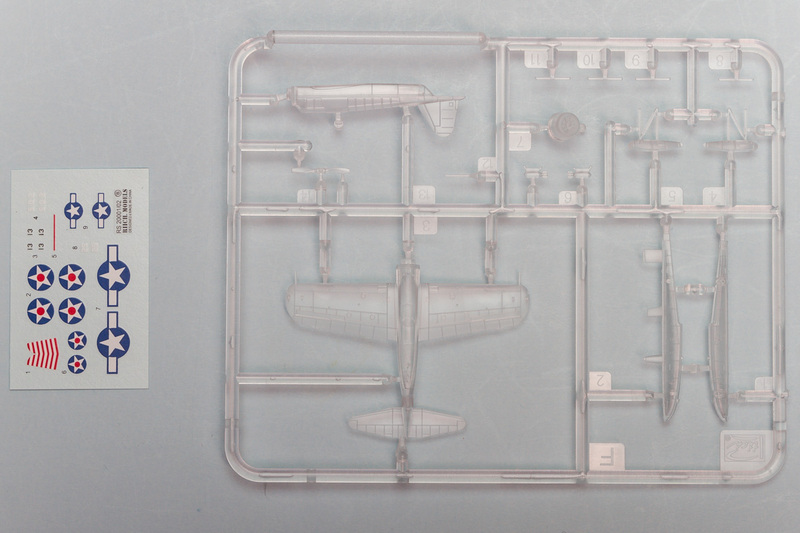 Smaller details include the radio antenna, underwing bombs, and a separate propeller. Moving on to the catapult, the majority of the parts are for this assembly. The main rail is made up from four separate side pieces, with a separate piston sandwiched inside. Onto this go all sorts of wheels and pulleys, as well as photoetch railings and walkways. The finished catapult assembly then fits down onto a large ring mount, which also gets some extra detailing in both plastic bits and photoetch. For final finishing, the kit provides decal markings for the Kingfisher, including the colorful red and white striped rudder. While a bit of an oddity, this is nonetheless a nicely done model, and it could make for an interesting weekend break from something more involved. My thanks to Dragon USA for the review sample.